Contrary to what we may think, heat exchangers do not exchange heat but they transfer the heat from a hot fluid to a cold fluid. The tubes containing the hot and cold fluids are not in contact with each other. 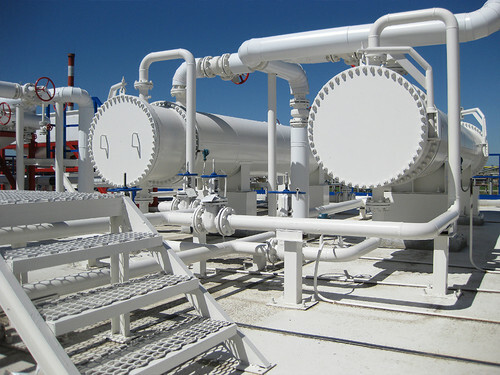 Heat exchangers are used in a large numbers of industrial domains, especially those which use fluids at high temperatures. Heat exchangers contain large numbers of tubes. These tubes are generally expanded by rolling (a cold process). When the tubes are expanded by rolling, the machine’s clamping jaws are adapted for clamping on two different diameters.